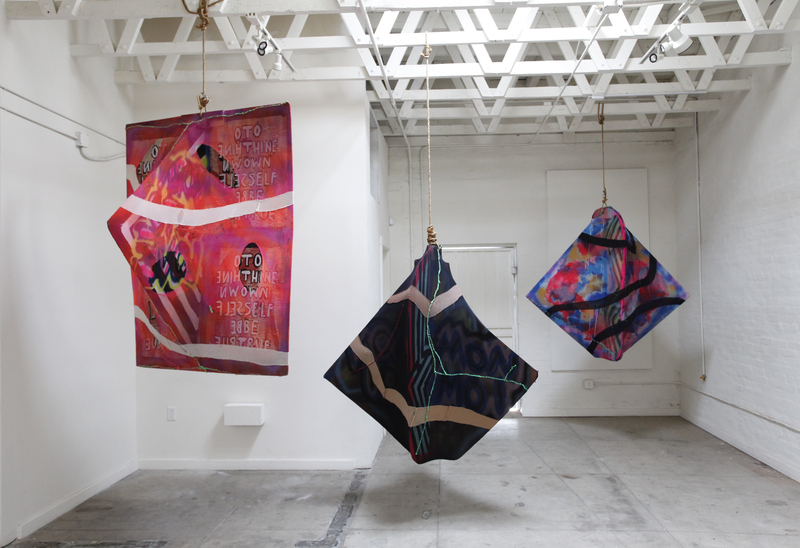 Marine Projects presents “My Self is An Other”, a group show curated by Claressinka Anderson and Sonny Ruscha Granade. 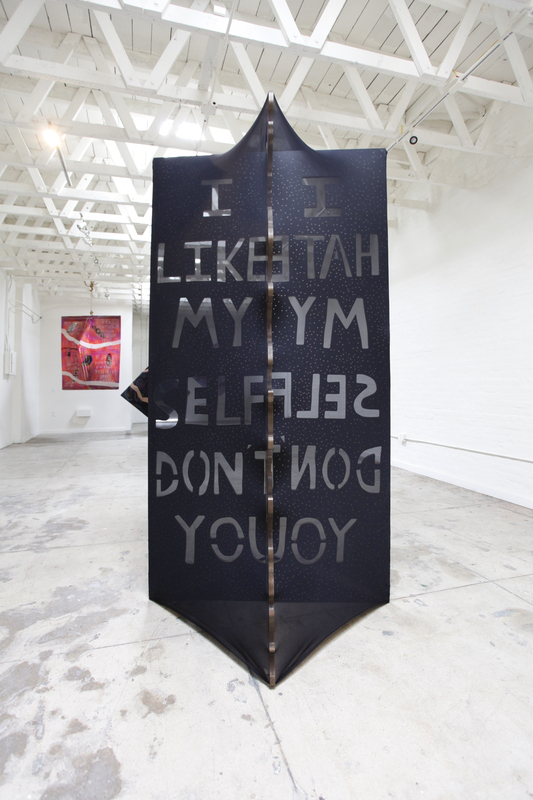 Taking place at The Underground Museum in the West Adams/ Crenshaw district of Los Angeles, “My self is an other” comes from the phrase by the French poet Arthur Rimbaud. 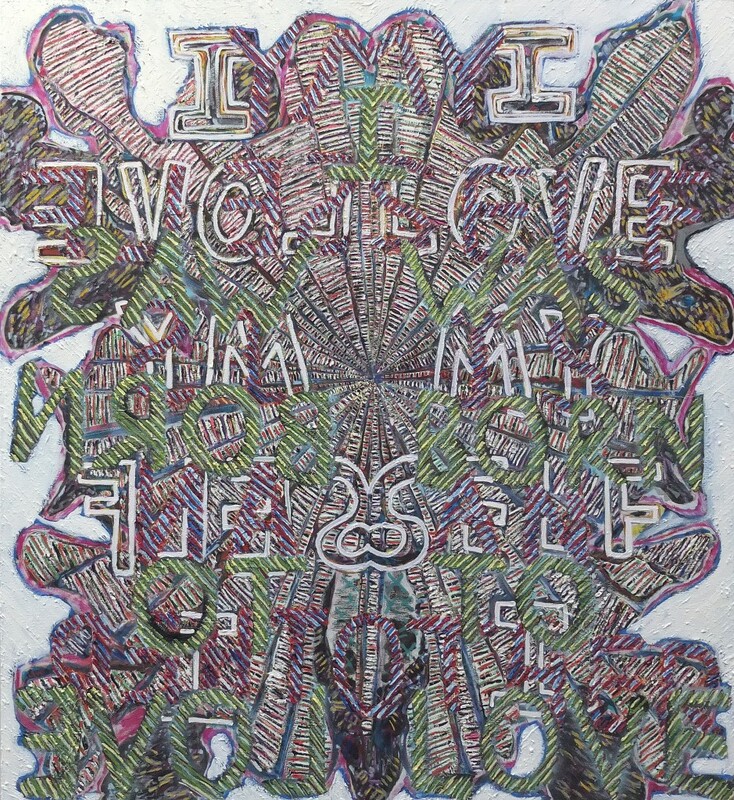 “Je est un autre”, which literally translated into English means “I is an other” is meant to convey the distance or alienation felt from the sense of self – that the self is really “other” – a construction or collage of thoughts and voices that come as much from outside us, as from within. 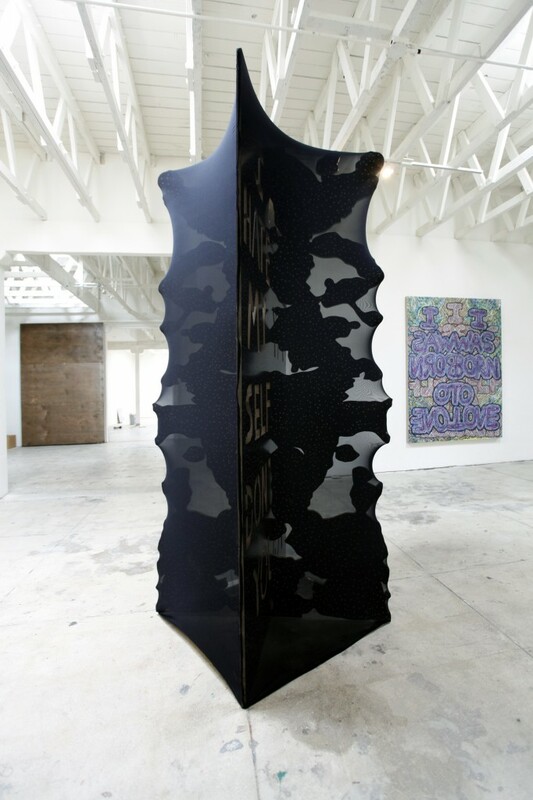 The work of Kendell Carter, Rives Granade, Alexandra Grant, Dennis Koch and April Street looks at the self in myriad literal and subtle ways. Some of how the self is understood is cultural, it reflects historical time, experience and a person’s sense of the non physical world. All the artists’ work explores the relationship with the self, how the self is embodied physically in the work, whether physically, consciously or spiritually. Artists are also, by default, looking at themselves through the lens of the other. Can we only understand ourselves through that lens? Is the self “an other”? The works in the show question these ideas and the viewer’s sense of self as well.